Community is at the center of what it means to be church. A missional church that is engaged with its culture is constantly renegotiating exactly how community will be manifested but it will always be central. Duggins points out that any community can be a place of grace and gives examples from churches, the workplace, around food (growing, cooking and consuming it), children’s activities and schools, and affinity groups. The Missional Wisdom Foundation with which Duggins works has developed some interesting mixed-use spaces in cooperation with churches where new approaches to community are developed. One is The Mix, a co-working and creative space in the basement of White Rock United Methodist Church in Dallas, Texas. Another is Haw Creek Commons, an adaptive reuse/transformation of Bethesda UMC in Asheville, North Carolina. He provides extensive examples and testimonies from each setting. Although the work of MWF is strongly tied to the United Methodist Church (see the first book in the series, Missional, Monastic,Mainline: A Guide to Starting MissionalMicro-Communities in Historically Mainline Traditions), Duggins also realizes that not everyone reached through these alternative communities will be comfortable in a traditional church. Other ways of engaging interested individuals in their growth as disciples must be provided. 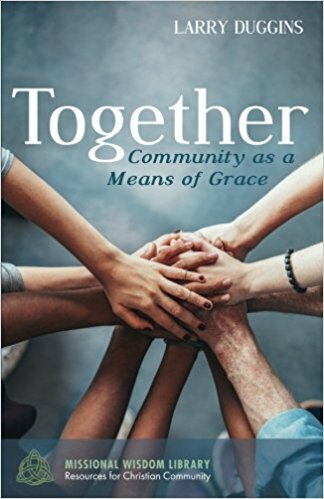 The book is a study guide, strongly rooted in Wesleyan theology and tradition but one that can be used by any faith community to challenge its laity and clergy to embrace new forms of community and social entrepreneurship to do the work of evangelism and discipleship in the 21st century. My wife, our daughter, and I were returning from the memorial service for a friend in east Tennessee. Stephanie, our daughter, was providing our music from Pandora on her iPhone. A song came up that I had probably heard before, but the words suddenly got my attention. “A Strange Way to Save the World” is written from Joseph’s perspective and points out the incongruity of the birth of the Savior in Bethlehem. Joseph voices his wonder at the strange way that God has chosen to work. Imagine, God was placing the plan for the salvation of the world in the hands of a teenage girl and a village craftsman! In Growing Agile Leaders, Bob Dale writes, “Coaching is a growth-oriented, strategic relationship. Coaching links two peers, equals who are in distinct roles, to collaborate as thought partners and to find the way forward for the person being coached.” I love Dale’s definition because it applies to a number of ways that coaching can be used in the church. First, practically every professional leader (including ministers) would benefit from working with a coach. Unlike many conversations, the coaching conversation is all about the client. The coach provides the framework and monitors the process, but the person being coached sets the agenda. In this case, it really is “all about you” and the person you want to become. Ministers often find it difficult to open up to others, even other clergy, fearing they will appear either inadequate and unsure of themselves or egotist and self-centered. 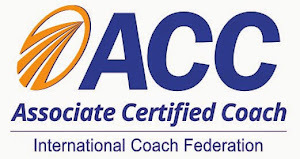 A coach provides a safe place to reflect, dream, plan, and work for a better future. The client is challenged to achieve deeper insights and to respond accordingly. Second, clergy leaders can be more effective if they add coaching to their “tool box.” Too often, lay leaders go to the pastor for their answers. This allows them to avoid finding out things themselves and, often, avoiding responsibility. When the pastor uses coaching skills, he or she is encouraging lay leaders in self-leadership and to use their talents to discover answers for themselves. A good athletic coach takes a talented team and makes it better by investing in individuals. A coaching pastor can do the same. Third, lay leaders in the congregation can use coaching skills to lead teams and groups as well as equip the other leaders with whom they work. 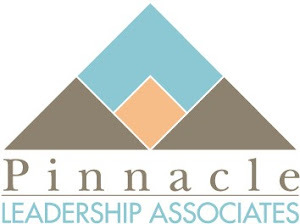 The Disciple Development Coaching © training provided by Pinnacle Leadership Associates prepares laity to use a coach approach to call out, encourage, and empower others. One does not have to be a professional to use coaching skills effectively. Coaching can be an effective tool to develop all types of leaders in the body of Christ. If you would like to learn more about coaching in church, contact Ircel Harrison. Churches, judicatories and theological schools are beginning to recognize the impact these faith-based social entrepreneurs can make, but these entities usually lack the flexibility and creativity to support their work. If the 21st century church is to be truly missional, we must find ways to empower, encourage, and resource those who can be our contemporary apostles to the world. They will make a difference, but will we help or hinder their work? Chaplain Pierce McIntyre offers helpful insights and prayers for dealing with every day life in his regular e-mails to friends and colleagues. 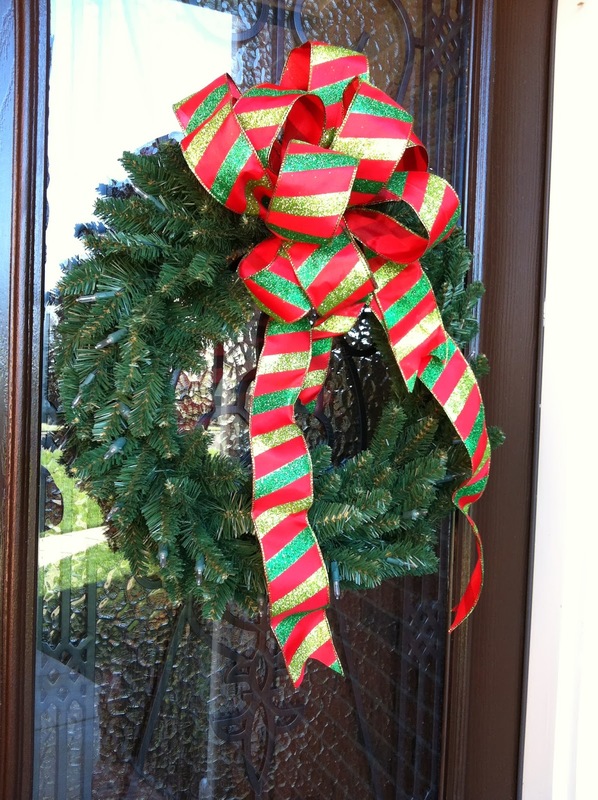 In an e-mail, he pointed out that there is an inherent contradiction in the term “holiday stress.” A holiday is “a celebratory day, break, day of rest or vacation.” Stress means “anxiety, impatience, and nervous tension.” The two really don’t seem to go together, but we know that they exist in combination too often these days. Finally, we can commit time to prayer and reflection. This is a holy season. We give thanks for the fulfillment of God’s promise in the Son, Jesus Christ, and consider what it means for our lives. Although the change in calendar from one year to another is totally arbitrary, the move from 2017 to 2018 provides opportunities for us to assess where we have been and where we might go in the future with God’s help. My Dad was a great story-teller. He had to go to work as a teen-ager to help support his family and finished high school GED, but he was an avid reader and knew the Bible better than many of us who have studied it all our lives. He told stories about Bible characters that made them come alive. In his story-telling, Stephen shifted the paradigm or way of seeing things. A paradigm shifter sees the same thing as everyone else but sees it in a different way. The priests, scribes, and Pharisees accepted and defended a static view of the world. They had God in a box and were happy with the ways things were. Stephen, as a spokesperson for the Way, proclaimed that God’s story was still unfolding. God’s plan of redemption goes on. God is a paradigm breaker. During the “conservative resurgence” in the Southern Baptist Convention, I heard one prominent leader in the movement say, “God can’t do that. It would go against what He [sic] said in the Bible.” In other words, this person believed that his particular interpretation of the Bible held God hostage. God is not so easily restricted and continues to work among God’s people in unusual and unexpected ways. This was Stephen’s message. Stephen also proclaimed that God had sent spokespersons in the past who pointed the people in a new direction and every time those persons were rejected. 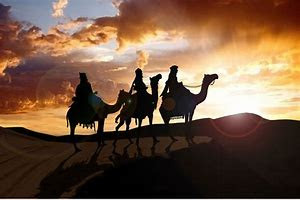 Joseph was rejected by his brothers. Moses was criticized and opposed as God’s leader by the refugees from Egypt. The prophets were scorned by their people. 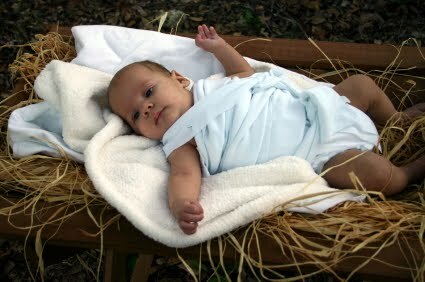 Now finally, Jesus the Messiah had been rejected. And Stephen, as a witness to the emerging Kingdom, would be rejected as well. When a new paradigm comes along, not everyone accepts it. Most of us are blinded by the familiar and too comfortable with the status quo. Stephen was not that kind of leader. He saw what God was doing, proclaimed it, and gave his life for that new reality. In Acts 6:8-15, the ministry of Stephen, a deacon (servant) in the church at Jerusalem, expands. He moves from administering aid to the needy to healing and teaching. As Wright notes, once the Spirit starts to work in a person’s life, you never know what will happen. When Stephen saw need, he responded. He saw the sick and, through the power of the Spirit, offered healing. He saw spiritual ignorance and responded with teaching about the Messiah. As he did so, he was raising the profile of the Way and the church as well as himself. Throughout Christian history, there have been men and women like Stephen, who saw a need and responded. They saw sickness and started hospitals. They saw ignorance and started schools. 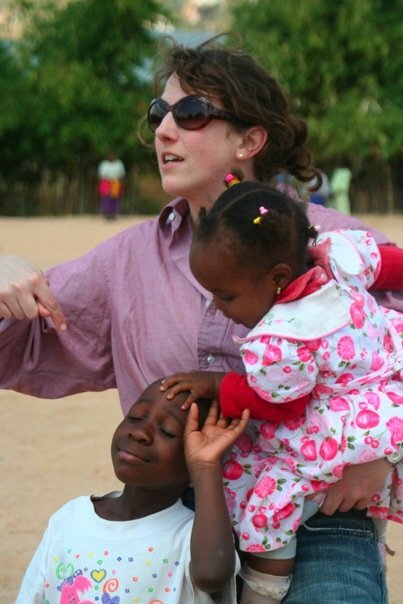 They saw children without families and started orphanages. These innovators stepped outside the paradigm that the church had embraced and addressed the needs of the world in creative ways. When you do a new thing, you will upset someone. Although his dissenters “could not stand up against the wisdom the Spirit gave him as he spoke” (Acts 6:10, NIV), this did not stop them from trying. They brought him before the Sanhedrin or Assembly and asked him to justify his work. Although they had the ability to coerce him, there is every indication that Stephen willingly accepted the challenge as an opportunity to share the mission of God. For those of us who are control freaks, this can be frightening. For leaders like Stephen, it was exhilarating. He was ready to listen, act, and witness through the power of God’s Spirit. Throughout the history of the church, men and women have stepped up to renew the church and stretch its ministry in new directions. These are pathfinders, entrepreneurs, or pioneers who see new opportunities for Kingdom work and respond accordingly. Stephen, one of the first deacons in the church at Jerusalem, provides a good model of a true “thought leader,” one who moves things in a new direction. Although originally chosen as one “to wait on tables” or care for widows, Stephen had the ability and the opportunity to do much more than this simple task of service. A servant leader in the best sense of the term, he was ready and willing to follow the leadership of the Spirit. In the descriptions of Stephen in the Book of Acts, a pattern is clear. He was “known to be full of the Spirit and wisdom” (6:3); “a man full of faith and of the Holy Spirit” (6:5); and “a man full of God’s grace and power” (6:8). There was a spiritual vitality in Stephen that issued forth in service to others. His walk with God empowered and motivated him to perform “great wonders and signs among the people” (6:8). In the familiar phrase, he walked the talk. Stephen was also deeply rooted in the Hebrew scriptures. In the lengthy discourse credited to him in Acts 7, he shows a deep understanding of scripture, the history of his Jewish forebears, and a remarkable grasp of the role of Christ in ushering in a new age for all people. He was an articulate and faithful spokesperson for the Kingdom of God. 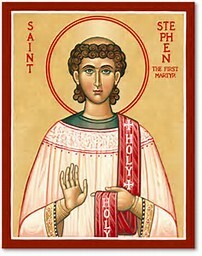 A person of faith and wisdom, Stephen exhibited the key personality characteristic of a leader--personal integrity. People responded to him because his actions backed up his words. He understood his motivation and lived out his values. We want to follow people like Stephen.